The third of the Great Three Lakes in Tibet is Lake Namtso, it lies in Damxung County in the northern part of Lhasa, around 166 kilometers north of the Tibetan capital by road, or around 112 kilometers as the crow flies. Known locally as Nam Co, the lake is also known as the“Heavenly Lake”, and it is easy to see why. Lying at an altitude of 4,718meters above sea level, and the highest saltwater lake in the world, this holy lake is as close to the heavens as it is possible to get in Tibet. The lake lies on the border between Lhasa and Nagqu, and its northern shores lie in Baingoin County of Nagqu Prefecture. 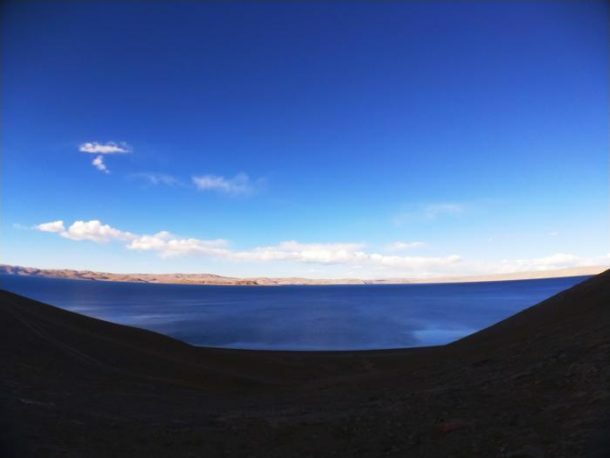 The lake lies in between the Nyenchen Tanglha Mountains and the famous Changtang grasslands, which stretch from Ladakh in India all the way across the plateau to Qinghai province and south as far as the Nyenchen Tanglha and Gangdise Mountains. Sitting on the eastern edge of this vast prairie, Lake Namtso is one of the most important lakes in Tibetan Buddhism and is a popular site for pilgrimage. 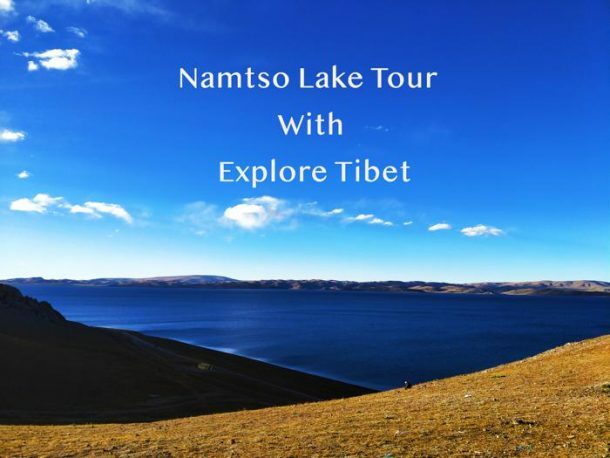 The largest lake in Tibet, Lake Namtso has several islands dotted across its surface, which were once used ashermitage sites by devout Buddhist lamas for meditation. The lamas would travel across the winter ice that formed on the lake to the islands, and spend the whole summer in meditation and contemplation on the islands, only able to get back to the mainland again when the first ice of winter froze the surface of the lake. The lake is also the site of the Tashi Dor Monastery, which lies on one of the five peninsulas that jut out into the lake, and is a holy site in Tibetan Buddhism. As it is a place where both Buddha and Padmasambhava visited and spent time in meditation. At different times, both Buddhist masters spent time holding rituals at the site,both in the year of the sheep, and while it is considered auspicious and meritorious to perform the ritual kora around the lake, in the Year of the Sheep, that merit is multiplied by ten thousand for every circumambulation ofthe lake. 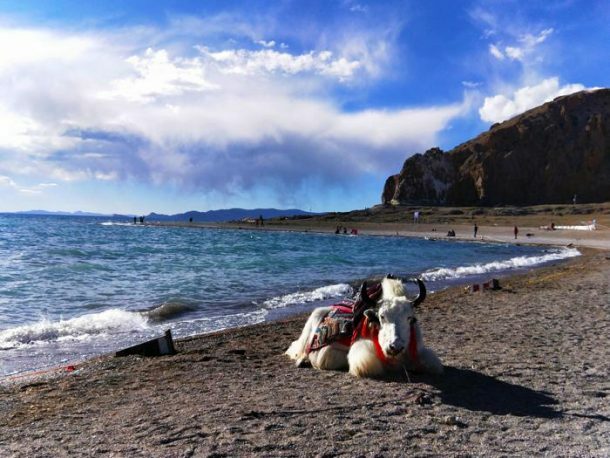 Getting to Lake Namtso in Damxung County is not a hard affair, as there is a road that runs all the way to Damxung Town, on the eastern side of the Nyenchen Tanglha Mountains. The road from Lhasa leaves the city to the west and takes the famous G109, the Qinghai Tibet Highway, north all the way to Damxung. The road is well-paved and is not a busy road, even by Tibetan standards, so travel is fast, for Tibet. However, as the road loops around, heading the first northwest to reach Yangpachen, before turning northeast along the alluvial plain to the east of the mountains, travel times are a little extended. Once at Yangpachen, where there are some great hot springs to bathe in, the road heads northeast along the alluvial valley floor, skirting the foothills of the mountains to reach Damxung. Previously, this was as far as most people could go in winter, as the road from Damxung Town to the lake climbed up over the Laken Pass, which sits 5,186 meters above sea level, and would often be impossible in the depths of winter. This road has recently been improved and makes it easier to get to the lake from Damxung Town. The route up over the pass actually brings you out at the end of the lake next to the Tashi Dor Peninsula, so you can visit the monastery first. Since the road has been improved, there is really no best time to visit Lake Namtso. Except for rare times when the pass is completely frozen over and covered in deep snow, which only happens in Late January and February, travel to the lake can be done atany time of year. For most people, who want the pleasant and warm weather of the Tibetan plateau, the best times to visit the lake is in summer and autumn. 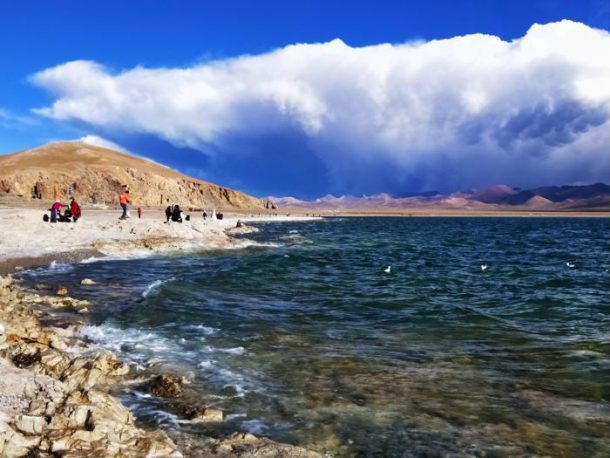 The summer weather around the lake is warm and pleasant, and while it is the monsoon season in Tibet, which runs from June to September, the rains usually fall in the evenings and overnight, leaving the day free to explore the lake. It is also the best time for spending the night camping by the lake, as the temperature at night is not too cold. This also allows you to get some great photos of the lake at sunrise and sunset, when the low light of the sun shines on the lake, turning the waters with a multitude of different colors. The autumn weather is also not too cold, and while it does drop a little lower at night, it is still tolerable for those wishing to camp. The autumn is also one of the bet times to go stargazing at the lake, which is one of the best sites in Tibet to see the night sky and the stars without light pollution. Spring is a good time tovisit, as the lake is just recovering from the winter, and there is often stillsnow on the lake shore in early April, making for a beautiful wintry scene. Parts of the lake may still be frozen over, and the opportunities for greatphotos are endless. The backdrop of the snow-covered mountains also makes forgreat photos. With the improved roads, travel to Lake Namtso in the winter months, from December to January is still possible, though there can sometimes be snow on the Laken Pass that can make it impossible to cross. However, unless there has been a heavy snowfall, traveling to the lake can be done. Lake Namtso is a true winter wonderland in December and January, with snow surrounding the whole lake and the surface of the lake covered in thick ice, though it is inadvisable to try and walk on it, as it can be unsafe. Before booking a tour to Lake Namtso in December and January, it is best to check the weather and make sure you can get there. Lake Namtso lies mostly in Lhasa city-level prefecture of Tibet, which means that, unless you plan on walking the kora around the entire lake, which takes around 30 days and requires you to cross the boundary into Nagqu prefecture, there are few permits and passes required to get to the lake. 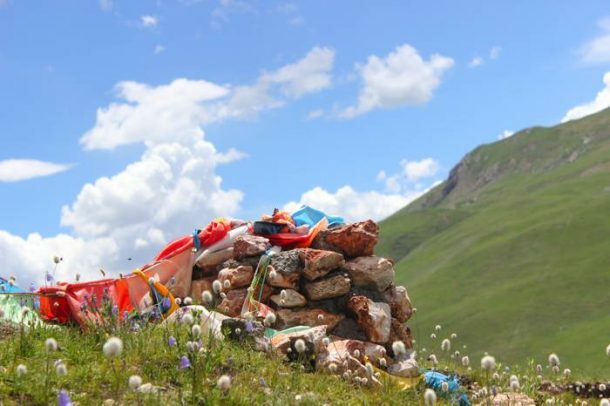 As most tours head across the mountains to the Tashi Dor Peninsula, you will only need to have the Tibet Travel Permit to get to the lake, as well as your passport and Chinese Entry Visa, of course. The Tibet Travel Permit is the main permit for traveling into Tibet and around the area of Lhasa and includes all the counties within the Lhasa city-level prefecture. The permit, however, can only be obtained by a registered tour operator, and can only be applied for using scanned copies of your passport and visa once you have booked a tour of the region. Once your tour is booked we can make the application on your behalf with the Tibet Tourism Bureau in Lhasa. The permit normally takes around 15 to 20 days to process and will be sent to your hotel in China ready for your trip by flight or train to Lhasa. The permit is also required to book and board the flights or trains to Tibet.